Home » Uncategorized » I got bored… so I made another card! this one is a Mo Manning image! This one is a Mo Manning image, provided in cropped form in her facebook group for us to use ! I think it is so very very cute! 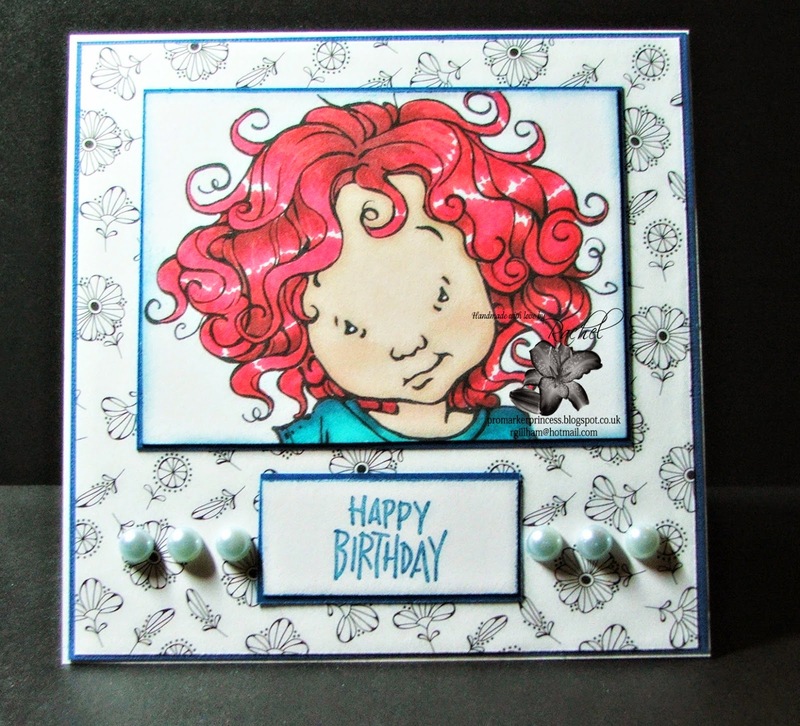 Beautiful card, love the image, thanks for sharing it with us in the brown sugar challenge. It was great to read your response to Anne's comment Rachel, we do like to see white space and I'm sure if you visit some of the wonderful contributors to our challenges you'll pick up lots of tips and ideas for CAS cards! This is a really sweet card. The image is cute and I love the hair. ← Testing Mojo, one two three!